It is a requirement of your Agreement, that the goods are protected against Theft and Accidental Damage. We can arrange Theft & Accidental Damage Cover for £1.52 per week. It is a requirement that products purchased on a credit agreement are insured. We can offer Theft and Accidental Damage Cover for £1.52 per week. 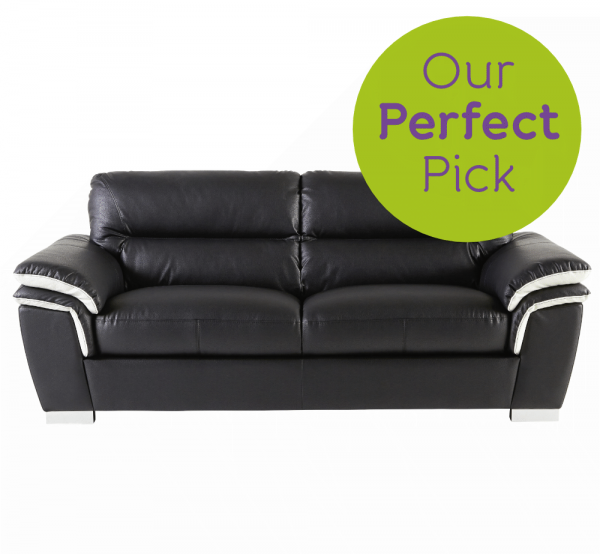 This Signature 3-seater sofa has been made with a bonded leather material and has white detailed arms. The new style sofa has cushioned seats and cushioned arms for complete relaxation. This sofa is also available as a 2-seater sofa.